My name is Patricia Gazy and I am a prophetic artist. I predominantly work with acrylic paints to create colorful, illustrative and deeply Spiritual works of art that aim to speak Truth, Hope and Love to the viewer. 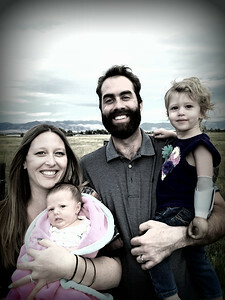 I live in Bozeman, Montana with my husband and two daughters. I have a Bachelor’s degree in Ministry from Christian Leadership University and am currently pursuing my Master’s in the same. By Fire Media is designed to be a place for you to view and purchase artwork that has been inspired by something more than just human creativity. As an artist, I purpose to create artwork inspired by the Spirit of God. My creative process focuses on what God wants to communicate more than what I want to create; this is prophetic art. Art in any form has always been an avenue to touch something deeper than our minds. Whether it is the fluid lines of an inspired work of art, music that moves us to tears, the flash of a shutter that captures a moment of truth or the passionate movement of a dancer’s body, art has a way of cutting down barriers and speaking directly to our hearts. I believe in the One True God who cares deeply for humanity and wants to express His love and commitment to us. The creative arts are an amazing tool that God is using to convey Himself to our world. On this website you will find a selection of paintings accompanied by the written description of what I felt was on God’s heart during the creative process. I hope this brings comfort to your heart, edification to your life and encouragement on your way.